The newly developed, large, powerful two-cylinder engine in the OHC 1000 with enormous performance gives the quad bike the dominant dynamics, high torque and top traction power. Electronic fuel injection ensures reliable starting, clean combustion and low fuel consumption, regardless of altitude. Reliable robust automatic 'heavy duty' gearboxes with L / H / N / R (off-road / forward / neutral / reverse) positions and minimal maintenance requirements are also equipped with an efficient engine brake. The electric power steering reduces the power needed to drive - even a long ride or all-day work does not tire you. 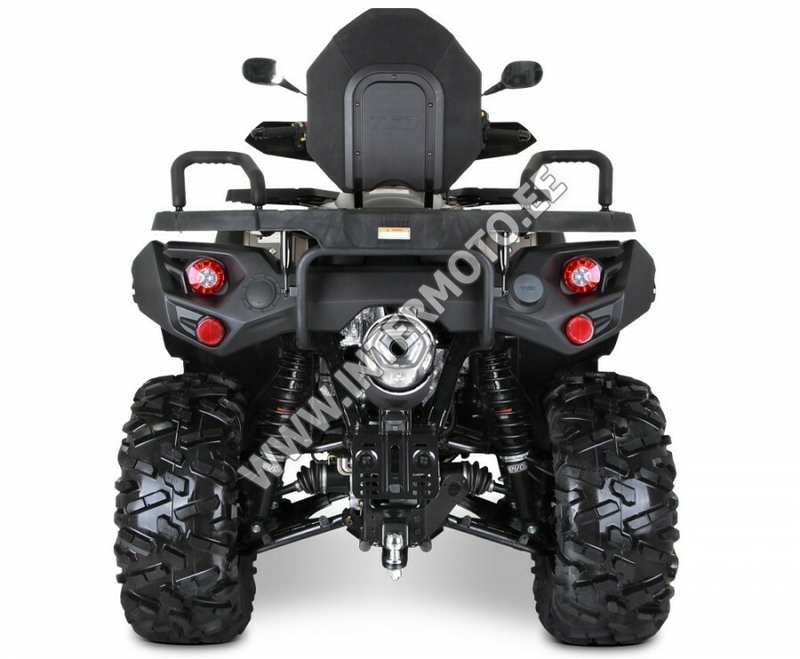 The power steering also improves the control of the quad bike and driving safety, as it also acts as a shock absorber and impact on the handlebars when the front wheel, for example, encounters a hidden stone, hole or stump. The impact will not put your handrails out of your hand because most of the impact energy absorbs the booster. The power steering is equipped with three optional modes for this model - standard effect / maximum effect / off. The great advantage of the Blade 1000i is the unique two-differential drive system on both the front and rear axles. In the toughest terrain, you will also appreciate the possibility of quickly locking the electrical shutters of each of the two differentials. Thanks to this, the Blade 1000i is one of the most comfortable steering wheels and allows you to precisely configure the drive for any terrain and situation. On the one hand, it offers perfect traction of all wheels and excellent passage through heavy terrain, while ensuring a tremendously refined and quiet ride and amazingly pleasant driving. 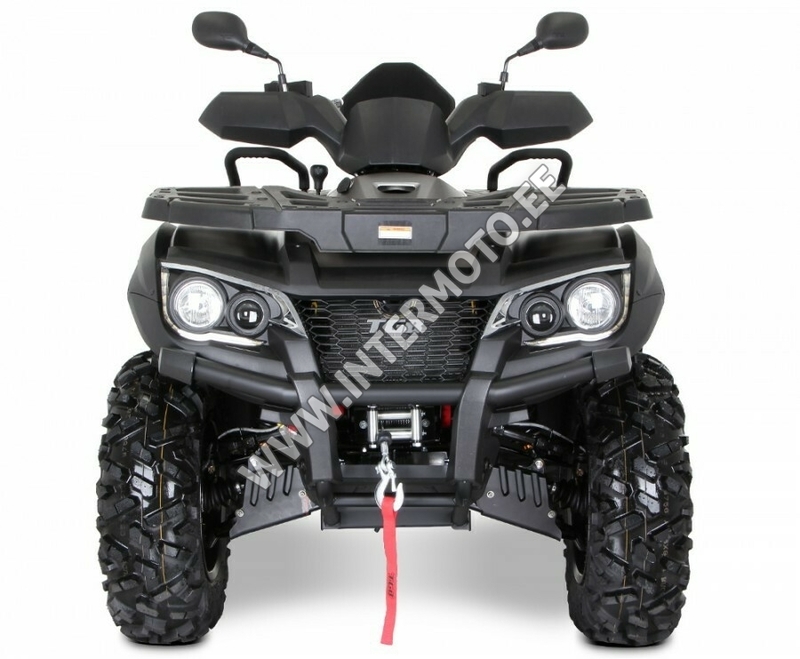 There is an electric connection of the front wheel drive 2x4 / 4x4 with the push of a button on the handlebars or a modern independent suspension of all wide-gauge and high-clearance iRS wheels. Brakes are as important as performance. A powerful four-disc hydraulic braking system with large-diameter bored discs and armored brake hoses gives you a sense of confidence when moving your riding limits or hard work. The foot brake brakes at the same time all wheels in the ratio of 60/40, the right lever can only be operated by the front brake, the left rear brake lever. The parking brake is activated by a separate lever on the handlebar. Attractive modern LED daytime running lights with integrated direction indicators capture everyone at first glance. Together with double rear LED lights and rear LED blinkers give the Blade 1000i an adult and appealing look. And when the sun sets, powerful double-headlights will always help you find your way home. The multifunctional LCD is not only legible but also beautiful. It offers all the important functions such as digital tachometer, digital speedometer, maximum engine speed, maximum speed, average speed, 2 daily distance counters, total distance meter, daily mileage meter, total hourly hour meter, fuel gauge, diagnostics and fault codes, and all necessary indicators. 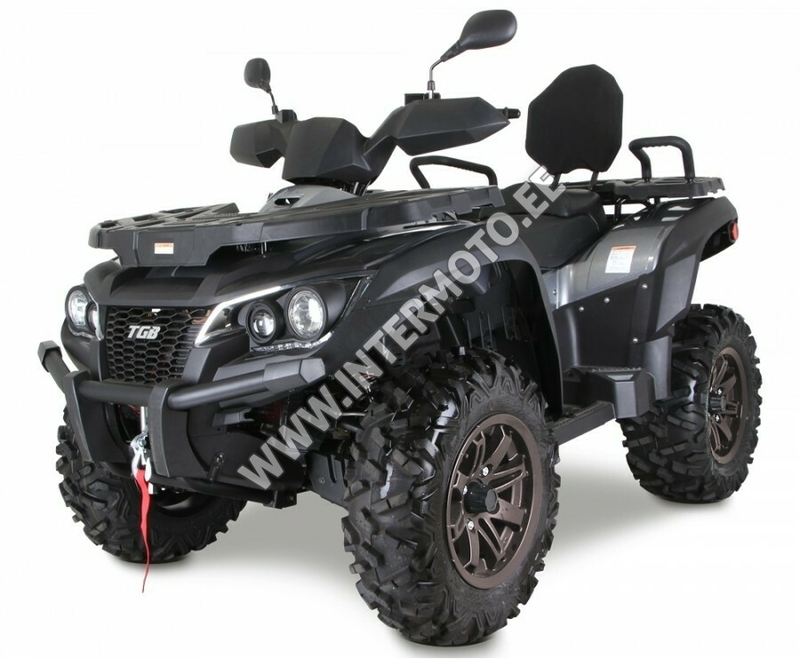 There are not many ATVs on the market that would already offer such a rich standard equipment as the Blade 1000i LT EPS at such an attractive base price. The Blade 1000i LT EPS is fully equipped with state-of-the-art dual-differential technology (both front and rear axles), electric shutters of both differentials and electrically switchable 2x4 / 4x4 drive. 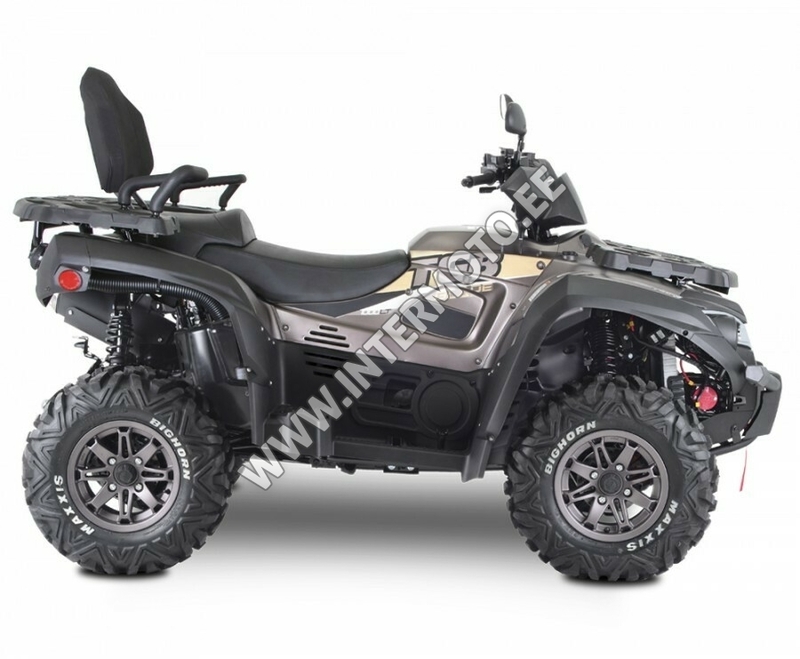 Other features include an electric power steering,Attractive 8-spoke aluminum discs with sharply bevelled rays, Maxxis Bighorn branded tires, hand and levers, robust front frame, front and rear luggage rack, separate raised passenger seat with comfortable backrest, legrests for co-driver's feet, hi-tech LED illumination, 12V on-board drawer, towing equipment and a high-quality winch with a high traction force of 3000 lbs.